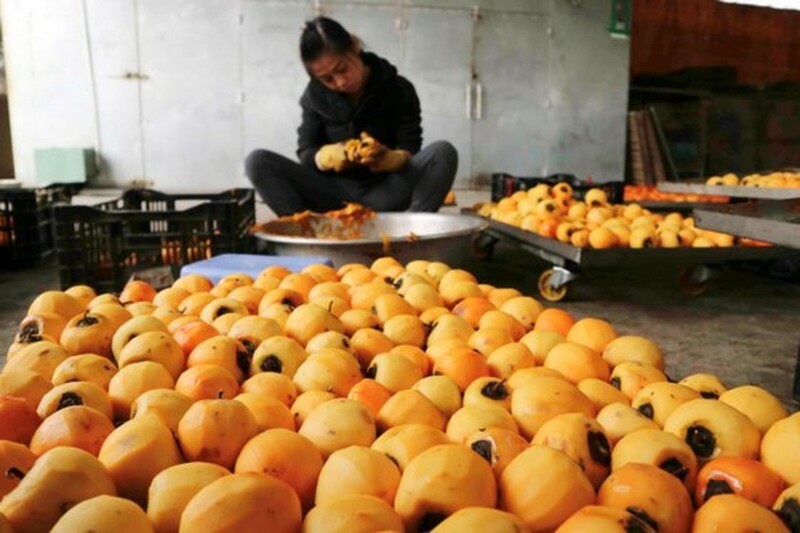 Several household businesses in the central highlands city of Da Lat have recently used a traditional Japanese process of drying persimmons, making fruits more delicious. 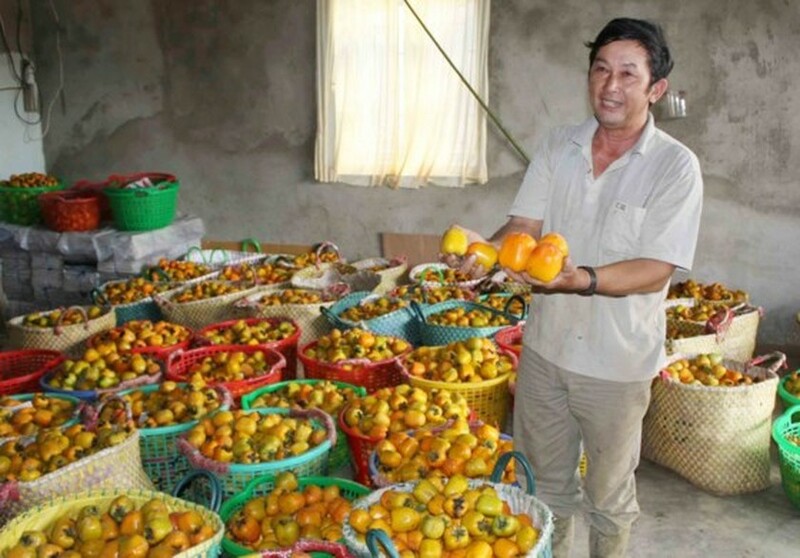 The traditional method producing naturally dried persimmons were introduced to vegetable farmers in Da Lat by JICA experts four years ago. 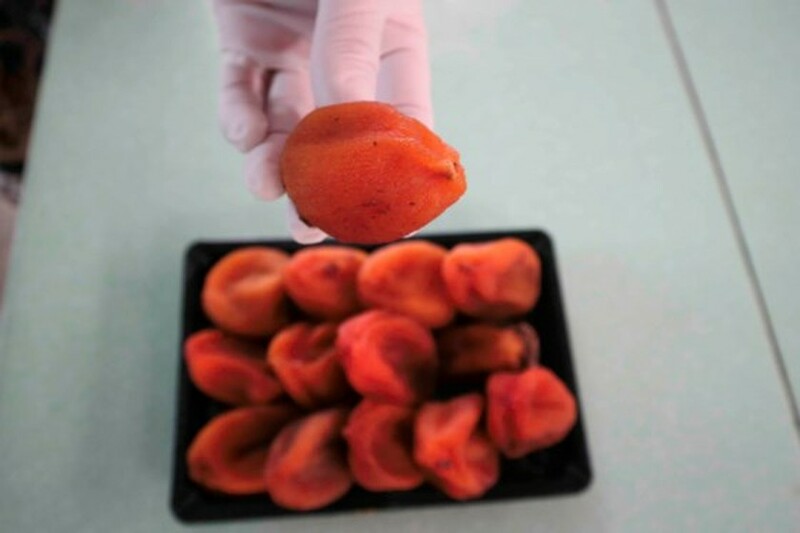 According to the technique, fresh persimmons are peeled, then dried in oven at 500-600°C in three hours. 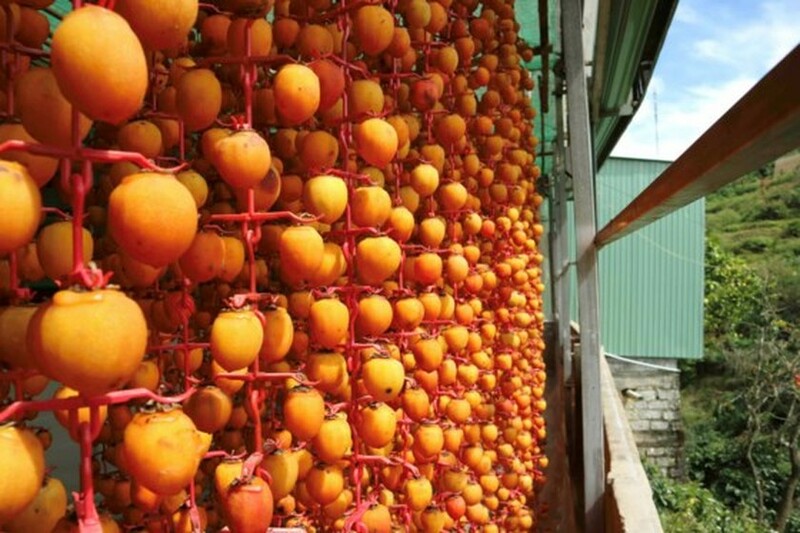 The persimmons are hung in a place with good airflow and humidity around three weeks. Making sure there is space between the fruit. 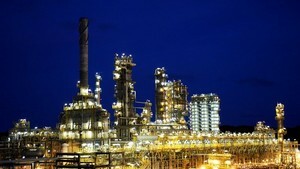 the temperature ranges from 25 to 30 degrees Celsius. 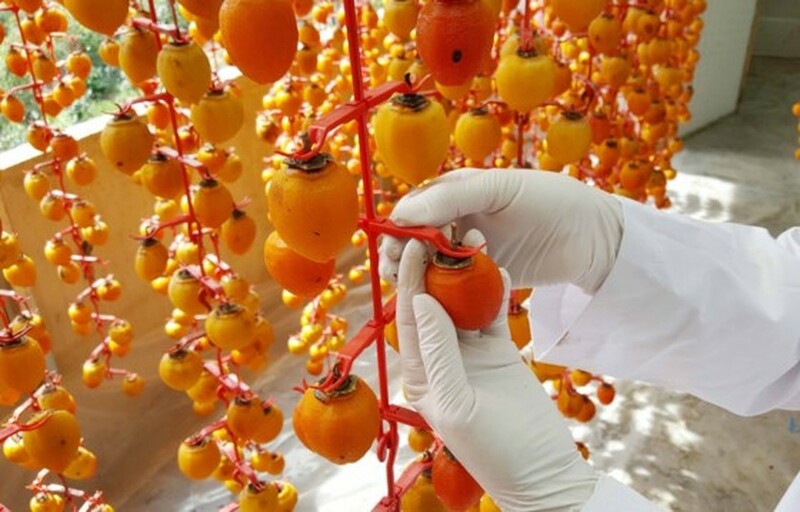 It takes 7-10 kilograms of fresh persimmons to produce 1 kilogram of dried persimmon. 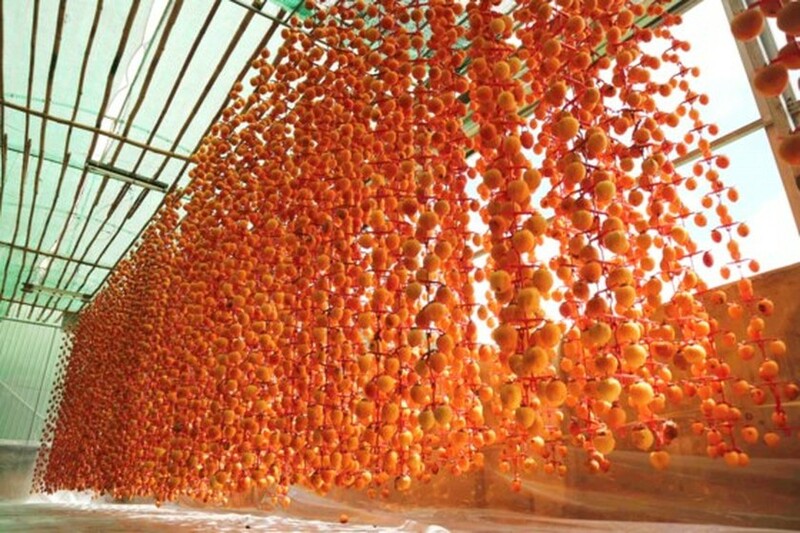 The dried fruit costs VND400,000-450,000 (US$20) per kilogram. 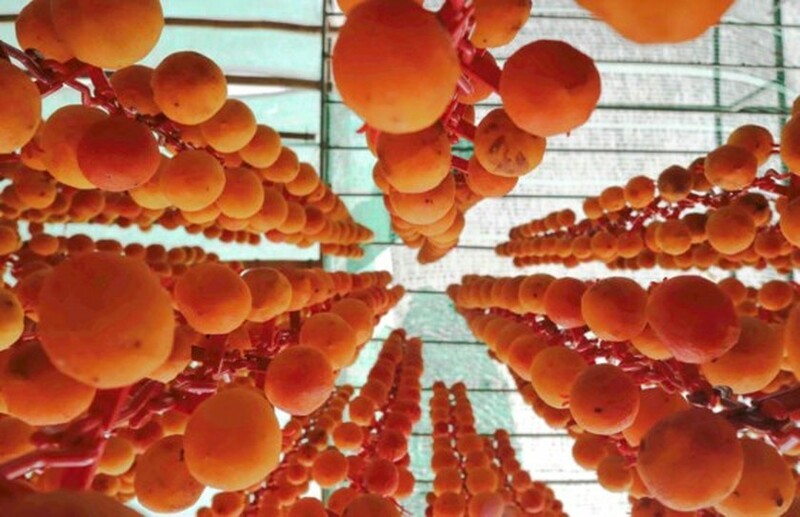 Persimmon is one of the specialties of Da Lat. 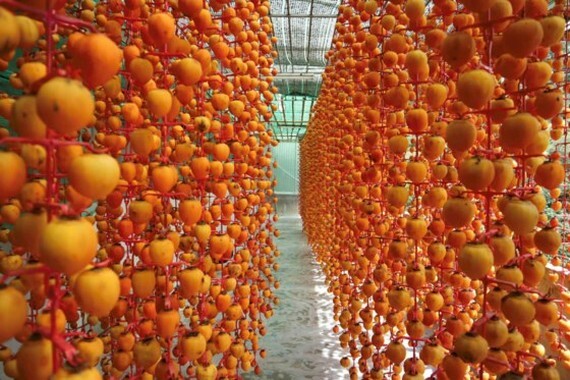 Persimmon gardens cover hundreds of hectares in the city and its adjacent areas with an annual output of up to thousands of tons. 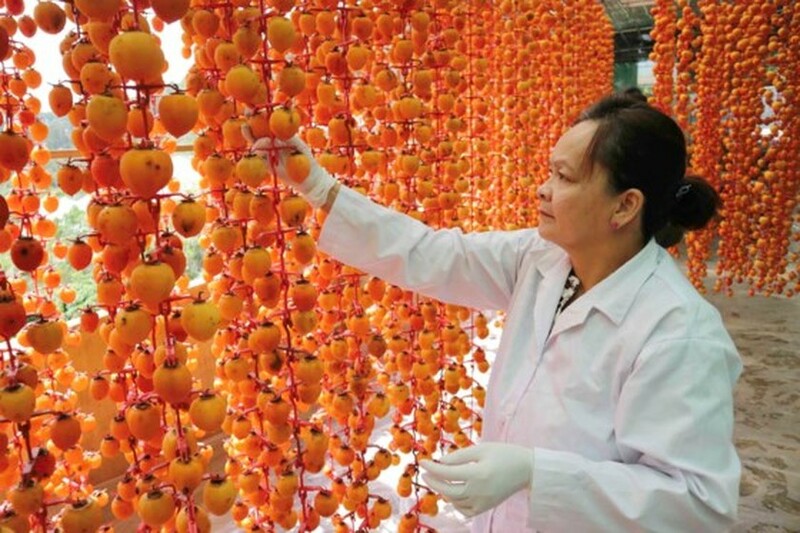 The persimmon season normally runs until the end of November. 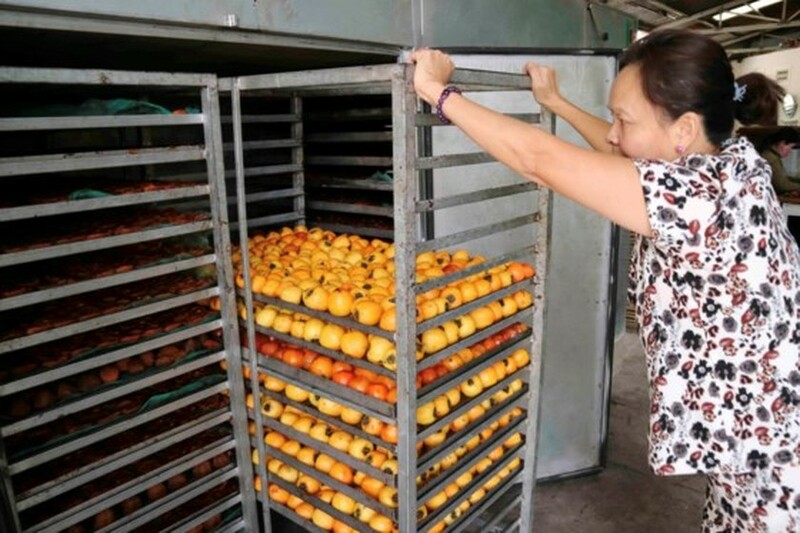 Mrs. Dang Thu Van, a grower in Da Lat City’s Ward 10, said that her family has used 100 tons of fresh persimmons to make dried fruits.